Ensure that you are always prepared and ready for your service calls! 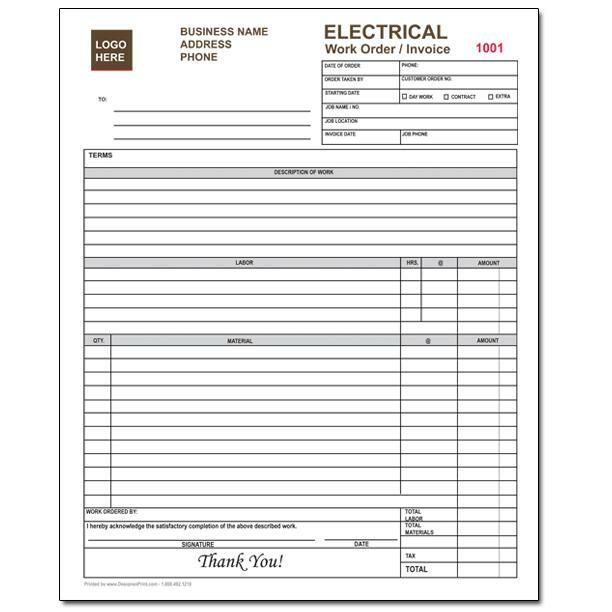 Using a form that is personalized with your specific business information help electricians portray a professional image. 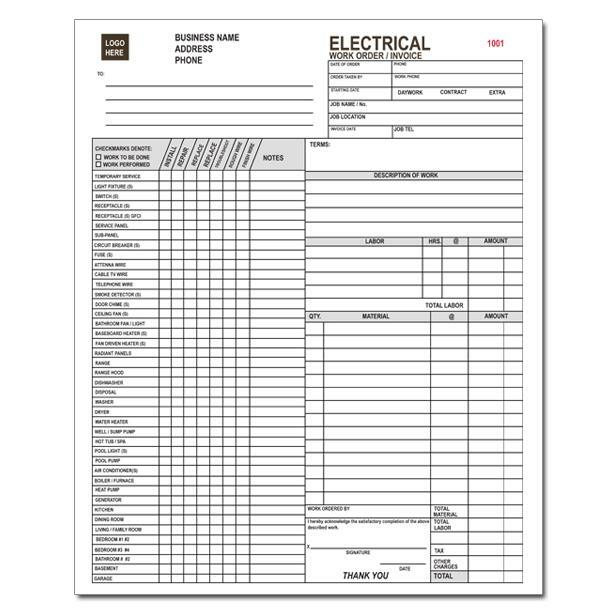 The Checklists is included to help you itemize the job and services, including time and material, for complete records. The customer will be show confidence and trust when you hand them a receipt after the job is done. 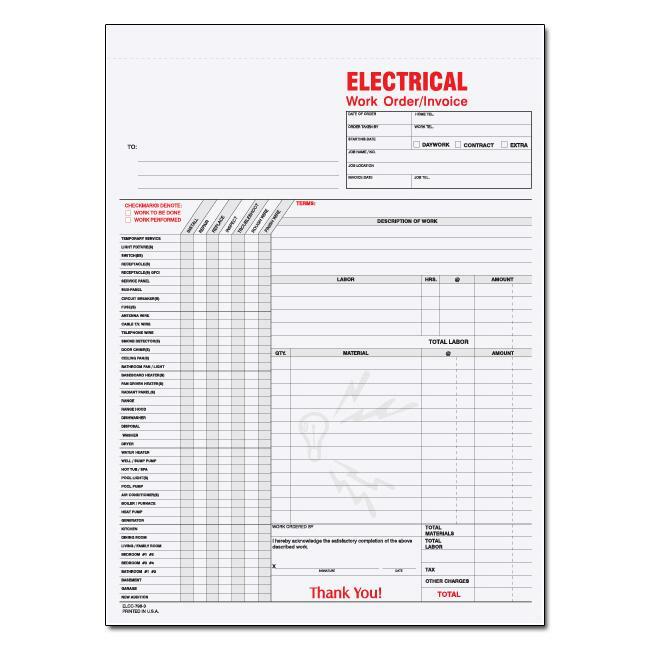 Personalize this electrical work order template with your company information and logo. Give your business a true professional look and feel. Order now!